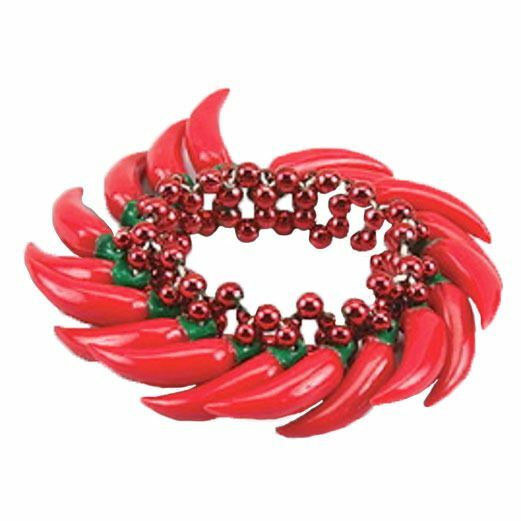 Our Chili Pepper Bracelet is a great way to spice up your Fiesta, Cinco de Mayo, or western party. This is a party favor that your guests will truly love. The elastic bracelet is beaded and completely filled with plastic chili peppers.